The Family Resource Network offers additional resources on our main site. A seizure disorder is a kind of illness that only happens sometimes. It does not make you cough or sneeze, it does not mean you have to stay in bed, and it’s not the kind of illness that makes you feel sick inside. A child who has seizure disorders feels just as healthy as any other person does most of the time, but sometimes there are seizures, and sometimes we call this epilepsy. Seizures start in the tiny brain cells in your head. These cells, called neurons, tell your body what to do, and make your brain and body work. The cells send little signals to each other telling your body what to do, like run and jump, eat or drink. Most of the time your brain cells work the way they are supposed to, but sometimes if you have a seizure disorder, they may stop working they way the should for a very short period of time and send out mixed up signals. This can last for a few seconds or a few minutes. This could make your arm shake without you wanting it to, it could make things around you look, or sound strange to you for just a moment, it might even make you stop and stare for a few seconds. Sometimes the mixed up signals from your brain can mix up the way your body works. The signals could make you fall down, make your muscles stiff, and then make your whole body shake for a few minutes. They could also make you move around as if you were sleep- walking. All of these changes in the way you feel or the things you do are seizures. There are many, many types of seizures, and not everyone has the same kind. Each type of seizure has a special name. If you don’t know what kind of seizure you have, you can ask your parents or your doctor the special name for your kind of seizure. Kids with seizures have to take medicines that will stop them from having seizures or lessen the amount of seizures they have. A doctor will tell what kind of medicine to take and how many times of day to take it. It’s important to take your medicines on time and when the doctor tells you. If you don’t take the medicine the way the doctor tells you, the medicine might not work. You can even ask your doctor or parent’s what the special name of the medicine you take is if you don’t know. • Seizures are not contagious! • Kids with seizures can do all the same activities as other kids do. • Kids with seizures can be in the same classes as other kids. • Having seizures does NOT make you less smart! • Never put anything in the mouth of someone who is having a seizure! • You CANNOT swallow your tongue during a seizure! When someone is having a tonic-clonic (grand-mal) seizure where they fall and begin to shake, remember T.R.U.S.T.! S- stay with the person and stay calm! T– time the seizure! If it lasts for over five minutes or it is the first seizure they’ve ever had, call 911! And don’t forget to be a friend! All teens face challenges and decisions about friends, driving, first jobs, and dating among others. Teens with epilepsy face those same issues but their decisions may be a little more complicated. Many areas of their lives will be affected by epilepsy. Teens with epilepsy will also have difficulty explaining seizures to their friends because they wonder how they will react. Their friends may have little knowledge about epilepsy. Only when people are able understand seizures are they able to help you in return. To learn about our scholarship program, please click here. • A seizure that appears to be the first one may be a result from a previously undiagnosed seizure disorder. • A seizure may sometimes appear as a first symptom to an underlying health problem that requires immediate attention. Epilepsy is most commonly treated with daily medications that prevent the seizures. Antiepileptic drugs can prevent or reduce the frequency of seizures, if they are taken every day, and on time. Missed doses will likely increase the occurrence of seizures, and stopping medication suddenly could cause break-through seizures. Sometimes, when these drugs are not helpful in controlling a person’s seizures, other treatments may be tried. These options include surgery to remove a small area of the brain, or VNS therapy (Vagus Nerve Stimulator) where small, regular, bursts of electrical energy is sent into the brain via wires linked to a large nerve in the neck. The energy is generated by a small battery surgically placed under the skin. There may be times in an adult’s life where they may experience discrimination because of their epilepsy. Federal and state laws provide some protection for people with disabilities including epilepsy. The Americans with Disabilities Act (ADA) requires an employer to provide any reasonable “accommodations” which would enable an otherwise qualified person with an eligible disability to do the job. Typical or reasonable accommodations for people with epilepsy may include arranging new work schedules, installing safety devices around machinery, replacing a flickering bulb with a steady light or re-assigning non-essential duties. Driving might also be an issue if seizures are not controlled, this in turn, could affect employment. Eligibility requirements vary from state to state, and some states have no specific seizure-free interval. It is important to try to use and access public transportation or other options such as carpools if seizures are uncontrolled. If a person has a seizure that causes them to blackout while driving, they not only risk their lives, but the lives of those sharing the road. In the state of New Jersey, a person must be seizure free for a year before they may get their driver’s license. Health insurance coverage through an employer may exclude or limit coverage of a condition that existed before the person was hired. 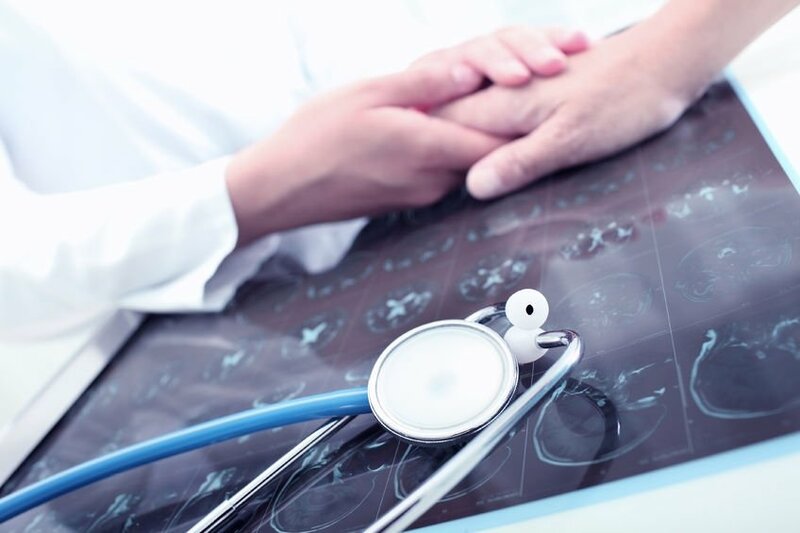 The Health Insurance Portability and Accountability Act of 1996 offers some protection for people with pre-existing conditions such as epilepsy, if their employers offer coverage to other employees. Under the Act, neither employees with epilepsy nor their children can be excluded completely from coverage. Women with epilepsy face unique concerns. It is important to understand the impact of total health on maintaining seizure control. Educating themselves will lead to becoming an effective self-advocate. The Epilepsy Services of New Jersey can provide you with many different resources that will aid you in your decision making process when confronted with such issues as menstruation, birth control, pregnancy, and menopause. The American population is aging and living longer. While our aging population has never been more active or independent, as many as 300,000 Americans over the age of sixty are affected by seizures. A careful look at the statistics shows us that it’s as likely to begin in the sixties, seventies and eighties as it is during the first ten years of life.